Updated P60 template for 2018/19 year end. Updated Statutory Payments rates and thresholds. Updated PAYE & National Insurance rates and thresholds. Updated Auto Enrolment thresholds and phased contribution values. Updated Scottish Rate of Income Tax calculations. Support Welsh Rate of Income Tax calculations. Updated Student Loan thresholds for Plan 1 and Plan 2. Support Post Graduate Loans for the 2019/20 tax year. Updated FPS (Full Payment Submission), EPS (Employer Payment Summary) and EYU (Earlier Year Update) submission. This release includes changes to allow you to complete your year end processing for 2018, as well as PAYE Modernisation changes. This allows you to process pay and make submissions for the 2019 tax year. Updated PAYE, USC and PRSI calculations for the new tax year. Support for Agent TAIN (Tax Advisor Identification Number). Ability to retrieve RPN values for existing employees / create RPNs for new employees. 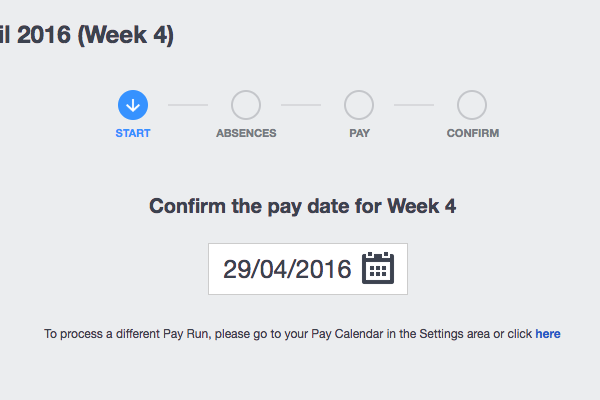 Ability to make Payroll Submissions at the end of each completed Pay Run. Disable P30, P35, P45, P45 Part 3, P46 and P60 for 2019 tax year. Updated P60 template for 2017/18 year end. Updated: P60 template for 2016/17. Updated: PAYE, National Insurance and Auto Enrolment thresholds. Updated: Scottish Rate of Income Tax calculations. Updated: Student Loan thresholds for Plan 1. Updated: FPS (Full Payment Submission), EPS (Employer Payment Summary) and EYU (Earlier Year Update) submission. 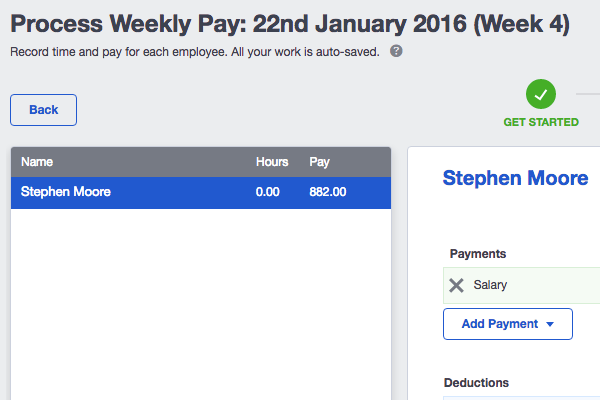 You can now choose from 2 new professional payslip layouts for your employees. Both payslips include year-to-date values whilst one is specifically designed to be printed and inserted into window envelopes. 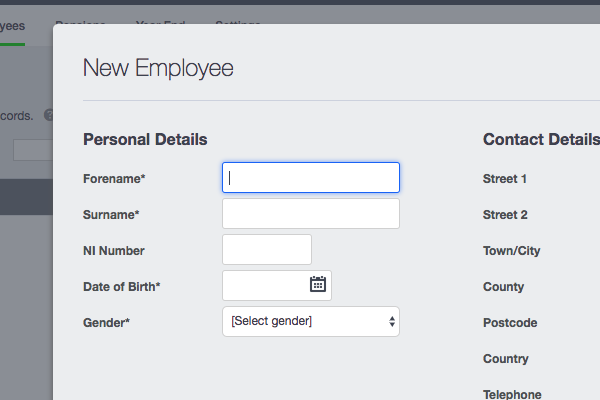 Just visit the payroll settings area to choose the layout you want to use. Everything you need to complete your Irish Payroll Year End returns and start your new 2017 tax year. We’ve taken care of all the legislative changes…so you're good to go for 2017!! One click submission of your employees NEST Enrolment and Pension Contributions directly to the NEST Portal (i.e. no longer will you need to manually download CSV files and then upload to the NEST Portal). You can now process up to 25 employee using Sage One Payroll, to meet the needs of your growing business. You can still be confident of running your payroll using the same simple steps, we’ve just given Sage One Payroll a fresh lick of paint to give it the same look and feel as Sage One Start/Accounting. Updated FPS (Full Payment Submission) and EPS (Employer Payment Summary) submission. You can now as part of Payroll's Auto Enrolment functionality export your employee pension contributions to a NEST CSV file that can be imported directly to NEST Pension Portal. Ability to complete your Payroll Year End returns and all the new legislation updates for the new Irish 2016/17 tax year. We will proactively inform you of any new features, enhancements or improvements within Payroll. Includes improved speed of processing payroll and producing reports. The ability to remove unused payment frequencies from your pay calendar. Improved process for making an additional payment to an employee after they have left the business. Now includes the ability to transfer 2 & 4 weekly paid employees from another payroll system mid-way through a tax year. Auto Enrolment letters updated with new thresholds. Ability to remove unused payment frequencies that were previously used to process pay.